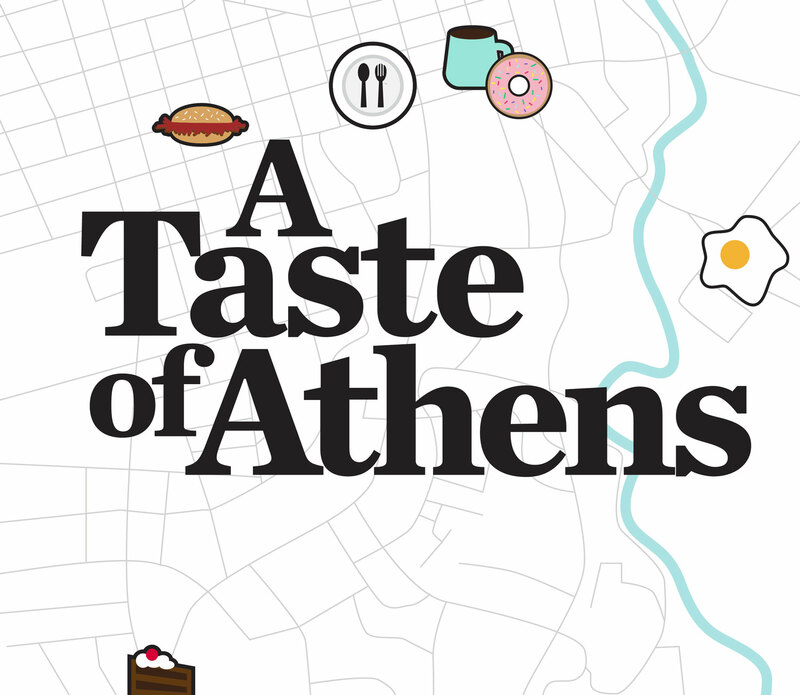 More than most cities its size, Athens is a playground for food lovers. Discover how to enjoy every meal of the day—plus some snacks—without ever leaving the shadow of campus. And you’ll be supporting UGA alumni every step of the way. Coffee and donuts: the true breakfast of champions. Tony Raffa opened Zombie in May 2016. A month before, he had competed in Terry’s Next Top Entrepreneur Contest. Raffa didn’t win, but the experience introduced him to investors who helped him bring Zombie to life just days after he graduated with a degree in business management from UGA. While in college, Raffa had experimented with pop-up coffee shops inside frozen yogurt stores around Washington, D.C., where he grew up. But it wasn’t until he invested in a donut-making machine that business really took off. “I never thought I’d be in coffee and donuts,” Raffa says. “I just saw an opportunity and seized it.” Zombie’s location in Athens was Raffa’s first standalone store. In October 2017, Raffa opened a second store in Columbia, South Carolina. Zombie’s topped-to-order cake donuts include offerings ranging from reliable standbys (vanilla, chocolate) to quirky (Fruity Pebbles) to inspired (a maple pecan donut with pecan halves). Zombie donuts are also served up with a side of social awareness. Each month, the restaurant partners with the School of Social Work to feature three local nonprofits on one wall. Customers are given a token to vote for their favorite, and at month’s end, the winner receives 5 percent of Zombie’s gross profits from that month. Raffa’s recommended donut: The maple bacon. Jittery Joe’s Coffee has been fueling Athenians since 1994, and Charlie Mustard is the steady hand responsible for every fresh-brewed cup. Mustard’s first visits to the downtown Jittery Joe’s were as a customer. It was a great place to concentrate on his master’s classwork in UGA’s Department of Foods and Nutrition. One day, he struck up a conversation with the founders, who said they wanted to start roasting their own beans. Mustard offered to do it—for free—as long as he could have all the coffee he could drink. That was in 1994, and Mustard never left. Every serving of Jittery Joe’s coffee originates with Mustard at the metal-roofed roastery on Barber Street about a mile northwest of downtown. Roasting coffee beans is both an art and a science. It appears simple on the surface but requires a deft touch and a sensitive nose. From bag to can, roasting a batch of beans only takes about 15 minutes, but Mustard is constantly checking the appearance of the beans, making sure the color is right and that the aroma is progressing properly. Sometimes there are fruity notes, sometimes a touch of baking bread. Once the beans emerge from the roaster, they cool for about 7-10 minutes before they’re loaded into bins and then canned or bagged for shipment. On an average day, he roasts enough beans to fill 80,000 cups of coffee. Mustard admits that he never expected to be a coffee roaster, much less one for more than two decades, but his vocation is a natural progression from his time at UGA. When he was a master’s student in the College of Family and Consumer Sciences, he worked in the energy metabolism lab, learning how what we eat or drink turns into energy. A move to coffee wasn’t a big jump. Plus, he’s able to bring a love of experimentation to coffee roasting, particularly when he’s making specialized blends for clients ranging from the UGA athletic department to Mama’s Boy’s Alicia Segars and Cooper Hudson (next page) to the band Widespread Panic. A walking tour of town might be the easiest way to visit Mama’s Boy. There is rarely any available parking. And if you go on a weekend morning for brunch, get comfortable. The wait for a table is frequently 30 minutes minimum. When Alicia Segars and Cooper Hudson opened Mama’s Boy 12 years ago, they envisioned a three-meal restaurant. When dinner crowds turned out to be disappointing, they quickly realized their niche. “We thought breakfast was kind of played out,” says Segars. “We were wrong.” So they closed Mama’s Boy for dinner and leaned into breakfast, serving it all day. Soon, the restaurant became one of Athens’ most popular brunch destinations. Since the summer of 2017, a lot more people have been enjoying Mama’s Boy. That’s when Segars and Hudson opened a second location in the Falls of the Oconee shopping center on Macon Highway, just across the Athens-Clarke County line. The new location is about three times the size of the downtown spot, which allows for events, and it includes two full kitchens, one of which is exclusively for catering. “The expansion is great; I have to make eggs for 300 people tomorrow,” Hudson laughs. Two locations means a lot of extra work for the pair, but they don’t mind. Still, their ambitions have a limit. Mama’s Boy’s best brunch: The Mill Town Plate—two eggs, cheese grits, thick-cut bacon and a massive biscuit—is simplicity perfected. Saucehouse co-founder Chris Belk likes taking chances. It’s an essential element for good barbecue. Cook this batch of ribs a little longer. Add a new flavor or two. You never know what you’ll come up with. It’s a good thing Belk embraces experimentation because Saucehouse was born from it. Belk wrote the business plan for Saucehouse as part of his MBA coursework at Terry, but he didn’t open the restaurant right away. Instead, Saucehouse started as a catering business specializing in barbecue, and Belk spent more than two years testing out sauces at various events. The nine on the restaurant’s current menu represent the survivors of a process that involved the creation of more than 100 sauces. The catering side has been a runaway success and still accounts for half of Saucehouse’s business. In fact, Saucehouse’s recent expansion to Atlanta is following the Athens template—catering first, followed by a restaurant sometime down the road. When the restaurant (along with an adjacent bar and large courtyard with outdoor seating) opened on Broad Street in 2015, it quickly became a staple of Athens’ food culture. Saucehouse’s menu includes the pork, chicken, brisket, and ribs that should be familiar to all barbecue connoisseurs, as well as tofu, which probably isn’t. Belk and his staff’s creativity comes in with the “vessels” that contain the barbecue. There are buns and rolls, of course, but Saucehouse also offers baked potatoes, nachos, salad, tacos, and rice—that last choice being added to the menu following a barbecue-themed road trip Belk and several co-workers took up the east coast, where they saw rice as a common side. Saucehouse’s success has not gone unnoticed. In January, the restaurant placed No. 1 in the 2018 Bulldog 100, the university’s annual honor for the fastest growing business owned or operated by Georgia alumni. Belk’s recommended lunch: Brisket on a baked potato covered in cheese sauce. For more than 25 years, the Last Resort Grill has been the go-to restaurant for students to take their parents when they come to visit. And its founder, Athens-native Melissa Clegg, is at least as much of an institution as her long-lasting creation. “I am in awe every day that the community has supported us and embraced us,” Clegg says. The Last Resort opened in 1992 in a space that used to be a music club, also called the Last Resort. Clegg used to watch her mom perform there. The room’s history is not lost on her. “Maybe you had your first date at a certain table or you saw a band play where the grill is. The walls speak to us all the time,” she says. Last Resort’s menu holds tradition close as well. New, creative menu items pop up all the time, but three dishes—praline chicken, salmon and grits, and fried green tomatoes—have been offered since day one. Clegg has been part of the Athens restaurant community since she began washing dishes at Sparky’s (located where the Classic Center is now) when she was 12. Clegg entered UGA majoring in sculpture but eventually moved to Terry, where she picked up the management skills she now uses every day. At times, Clegg has been a flying instructor, a professional photographer, and she’s run a cooking school, but restaurants are her true love. While she’s owned and operated (and sold) a variety of them in Athens, she’s never left the Last Resort, which has always remained a driving force. In fact, one of Clegg’s newest ventures is an offshoot of the Last Resort, LRG Provisions, which she co-owns with fellow UGA alumna Jeneane McGuire. Immediately before launching Provisions, McGuire was general manager at Last Resort. Her graduation from that job to her new one is the latest example of how the Last Resort serves as an elite farm system for the rest of the Athens culinary community: Alicia Segars and Cooper Hudson met there as employees before launching Mama’s Boy. Charlie Mustard has supplied coffee to the Last Resort for years, and Chris Belk provided other coffee and tea products to the restaurant when he was in the food sales business before Saucehouse. And, most notably, Clegg and renowned chef Hugh Acheson, who was head chef at Last Resort, opened Athens’ highly regarded Five & Ten restaurant in 2000. Seven years later, Acheson and one of Five & Ten’s chefs, Peter Dale, opened The National. Last Resort’s recommended dinner: Pork shoulder stuffed with chorizo and spices. For brothers Nick and Peter Dale, Condor Chocolates is a labor of love. Or, more accurately, a love letter to their family. Their mother, Beatriz, is from Ecuador, and when the Dales decided to open their craft chocolate shop in Five Points, it only made sense to use Ecuadorean cacao, a product that’s as essential to the nation’s identity as the peach is to Georgia. Named for the national bird of Ecuador, Condor is a bean-to-bar shop. Every step in the process is managed by the chocolate maker. For instance, during the Dales’ frequent trips to Ecuador, they mix family time with visits to the farmers who grow their beans. For the super-curious, the entire bean to bar process is illustrated on the shop’s wall. It’s a more expensive process that leads to a higher quality product. The Dales originally made all their chocolate at the café, but the 2016 opening of their factory on Chase Street changed everything. “The factory lets us grow a bit more,” Nick says. Previously, it was not uncommon for the Dales to store more than a ton of cacao beans in the corner of their Five Points store. “It also gives us the freedom to do some small batch, limited edition products.” One of their more recent creations was a dark chocolate bar flavored with cayenne pepper. The Dales grew up on the UGA campus. Their father, Nicholas, was a professor in the Department of Poultry Science before he retired. Peter graduated from Grady, where he learned how to challenge himself. It’s an important quality that’s helped him build one of the most impressive restaurant portfolios in the Southeast (see box). Condor represents Peter’s first partnership with his brother, and the mix of their personalities and interests makes for an ideal twosome. Nick, who handles Condor’s day-to-day operations, earned a degree in agricultural economics from the College of Agriculture and Environmental Sciences. He loves tinkering with machinery and has developed some highly sensitive taste buds over the years. “It’s always fun to see what restaurants or breweries do with our product,” he says, adding that Condor supplies cocoa nibs and other products for a variety of Athens-made products ranging from desserts to chocolate stouts. “I’m always seeing if I can taste the flavor notes of the chocolate they are using. I’m in the 1 percent of chocolate tasters who are really nerdy about it,” he laughs.